Musical influences - Libby Rae is an authentic Blues woman who has been playing Blues since the early 1970's. 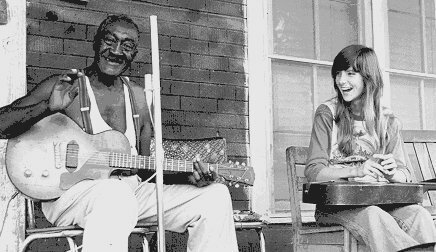 She helped organize the talent for the very first Delta Blues Festival in Greenville, MS in 1978. Furry Lewis, Eugene Powell, Houston Stackhouse, Big Joe Williams and Sam Chatmon were among the musicians at that festival. Above are photos of Libby Rae with Big Joe Williams, Stonewall Mays, and her close friend and mentor, Sam Chatmon! Click above to listen and download Libby Rae's CD on iTunes! Click above link to visit Libby Rae's Reverbnation Page! Libby Rae Watson grew up in Mississippi a few blocks from the Gulf of Mexico. Not exactly the heart of the Delta and the delta blues, but just a few hours drive away. 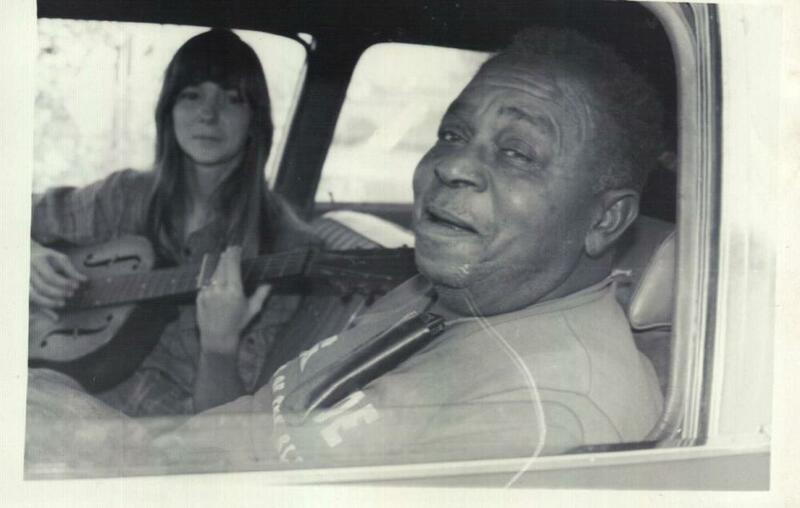 Captivated by the music, she became deeply involved with the Delta in the mid 1970's, searching, exploring, documenting, meeting and playing with all the blues artists she could find. People like Big Joe Williams, Furry Lewis, Johnny Woods, Eugene Powell, Son Thomas and many more. Legends and obscurities. She was a 22 year old girl venturing into places not many would dare to enter. But it was her friendship with Hollandale’s Sam Chatmon that influenced her the most. They became fast friends from day one and remained that way until his death in 1983, where Libby Rae performed "Sitting On Top Of The World" at his funeral. Now, after years of staying close to home with her band, The Liberaetors, Libby Rae has come back to the old delta Blues where she started....and back to the road. in 2014, she took 2nd place at the Mississippi Delta Blues Society of Indianola's Blues challenge. In 2015 and 2016, she won place in Indianola which procured a spot at the International Blues Challenge in Memphis where she placed in the semi-finals both years. In 2017, after a win in Indianola, she will compete again in Memphis as the duo, Sweet 'n' Salty, with friend and fellow musician, Wes Lee. Libby Rae has performed at many festivals over her career....the New Orleans Jazz and Heritage Festival, King Biscuit Festival, Juke Joint Festival in Clarksdale, Ms, The Mighty Mississippi River Festival in Greenville, Ms and The Sam Chatmon Festival in Hollandale, MS to name a few. She has also performed House Concerts from Canada to Birdie's Roadhouse in Varnado, La...from the Shack Up Inn in Clarksdale, MS to the FloraBama in Orange Beach, AL! She has toured with Toronto based Bluesman, Doc MacLean, and with Rambling Steve Gardner, Bill Steber, and Wes Lee as the Jericho Road Show. Look for her on the back roads! Photography courtesy of Kristi Miller-Lee.